China’s Communist Party wants to end the two-term president limit, which would allow the current president Xi Jinping to stay in power indefinitely. 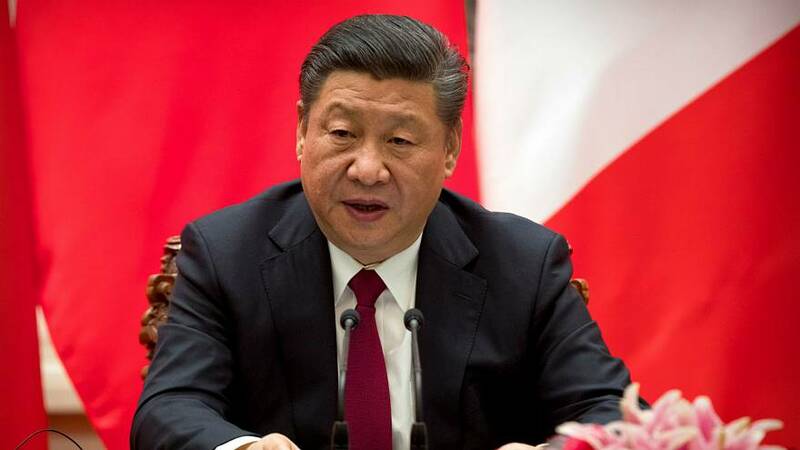 Xi began his second term as head of Communist Party last year and would be required to step-up down after two-year terms under the current constitution. Xi, who is also party chief, has been president since 2013. The news announced by China’s state media was not welcomed by everyone: “If two terms are not enough, then they can write in a third term, but there needs to be a limit. Getting rid of it is not good!” wrote a Weibo user, China’s social media platform. The Central Committee also proposed adding Xi’s political philosophy — Xi Jinping Thought on Socialism with Chinese Characteristics for a New Era — into the constitution. The Chinese president’s “thought” was already added to the party’s charter, becoming the only leader after Mao to receive the honour in his lifetime. As party secretary general since 2012, Xi has waged a war against corruption and oversaw the establishment of a new anti-graft agency, the National Supervisory Commission, that carries out investigations at all levels of government and includes non-party members. More and more Chinese media outlets are referencing to Xi as “lingxiu” — a term only used to refer to Mao as it has reverential and spiritual connotations than any other word to signify leader. A constitutional reform would have to be approved by parliament, which is made up of loyal members of the party. There’s been speculation that Xi wants to stay in power past the official two five-year terms. The party congress held last October ended without appointing a successor for Xi. “Whether Xi ends up being Party Chairman or just remains Party Secretary doesn’t matter. What matters is whether he holds onto power,” said Zhang Ming, political science academic at the Renmin University of China in Beijing. “In China, ordinary people already consider Xi Jinping to be the emperor,” he added. The proposed change will be submitted to legislators at the annual full session of the National People’s Congress on March 5. Xi is expected to be given a second term in office during the two-week session.